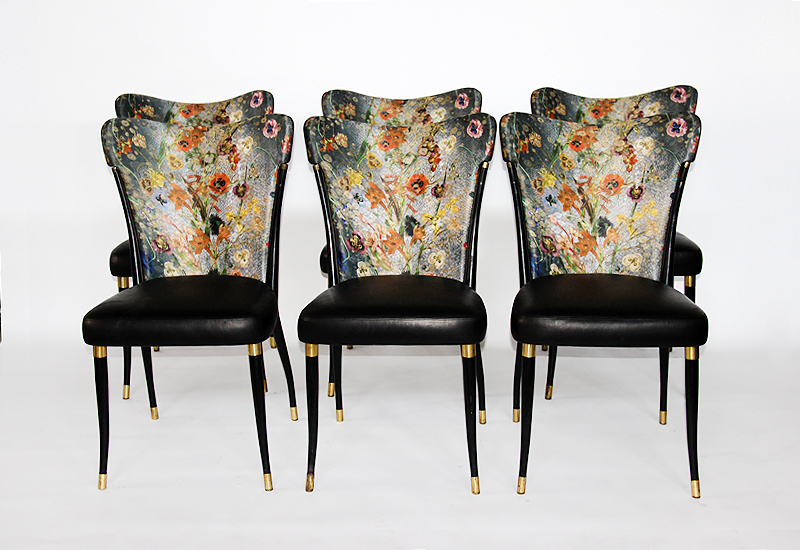 Set of 6 Bouquet dining chairs. 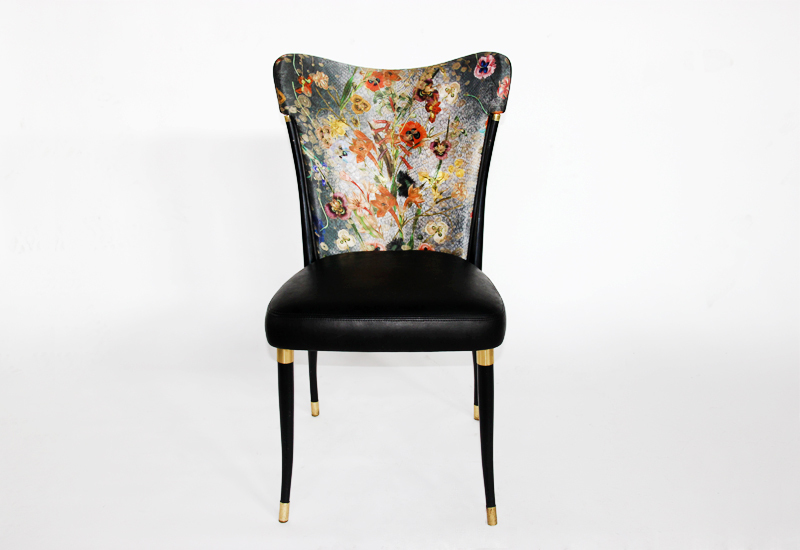 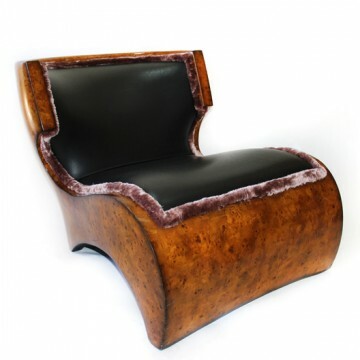 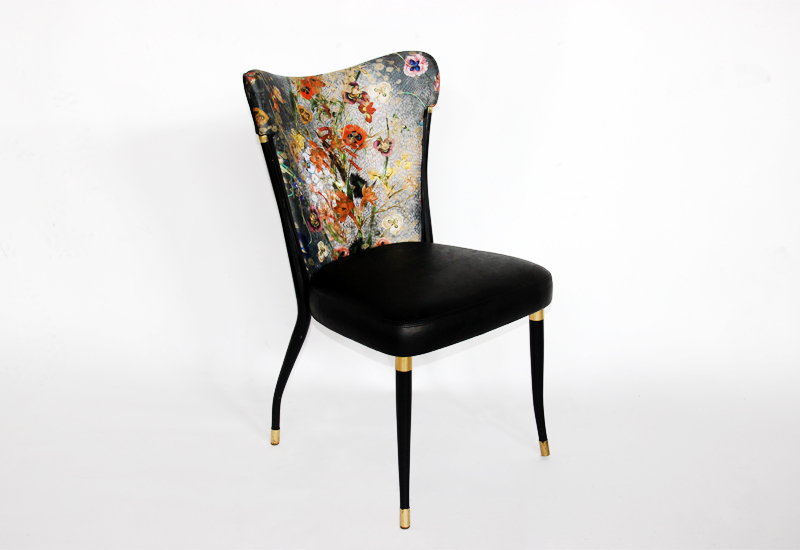 Beautiful wing back dining chairs with custom silk floral brocade fabric back and matte black leather seat and ouside back. 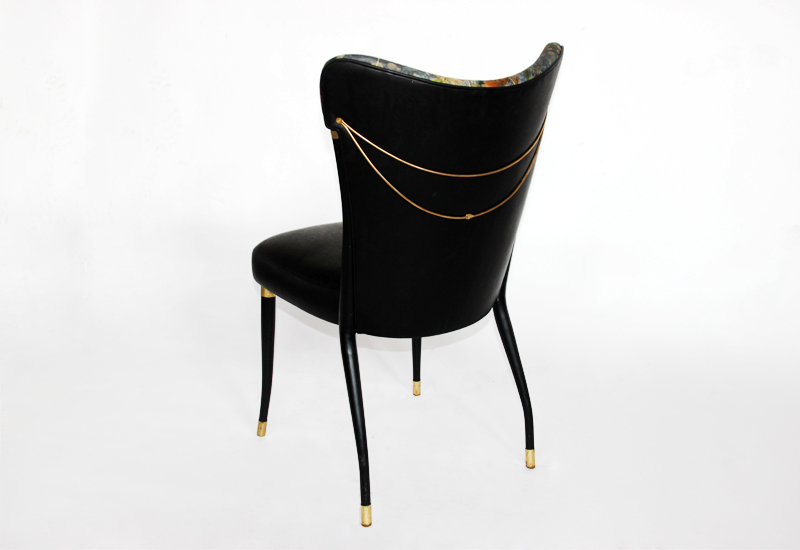 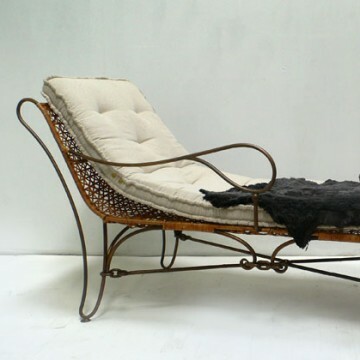 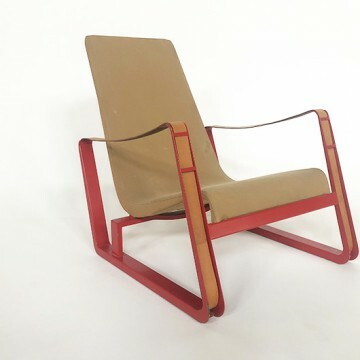 Black powder coated steel frame with brass drape detail on back of chair.Good condition consistent with age. 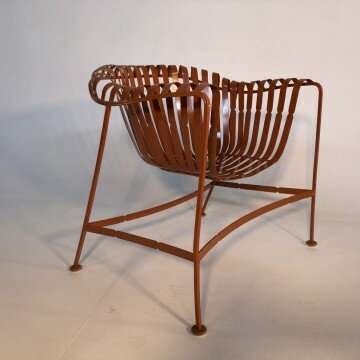 Sold as set of six.